Thinking of purchasing a new pool or external spa then days have been long gone where we as home owners decide whats safe and whats not. Within Victoria there is a requirement, when installing a new pool or spa, to get a building permit for the construction of the pool or barrier. In the excitement of getting a new pool or spa not always do we focus on the fencing and gates that will be required to comply to building codes. The style, cost and location of fencing and gate will ultimately be critical to the overall outcome of your pool area. It is probable that if getting an in ground pool installed Permit requirements may be undertaken by your pool company. Certainly check to ensure it is included and that temporary fencing is allowed for the period between filling the pool and final pool fencing being installed. Rules remain the same for these projects so although you may or may not need a permit for the actual spa the spa enclosure will require a permit and inspections to ensure it’s installed to building code requirements. 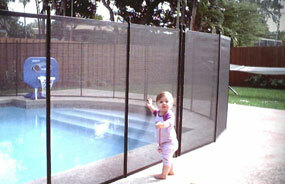 Remember you cannot fill your pool or spa unless you have installed a temporary fence. Note: Check with your local council as to what requirements are applicable for temporary fence options and maximum length of time you can maintain this method of barrier. Permanent fencing to building code requirements and had relevant permit inspections. The Building Commission advises ” New swimming pools in Victoria now require four-sided pool fencing as the Building Code of Australia 2010 came into effect on 1 May 2010″. With the new code came a new set of construction requirements and options to consider dependant upon the differing conditions your site offers. The Project Centre does prepare plans for pool enclosures and arrange building permits for pool fencing. We currently do not provide plans for actual pool construction. So what is a pool fence or safety barrier? The Building Commission describes a Safety barrier” refers to a fence, wall, gate or screen, and includes gates, windows, locks, latches, hinges and self-closing devices attached to them. Safety barriers are required for in-ground swimming pools, jacuzzis, indoor swimming pools, above-ground swimming pools and spas. 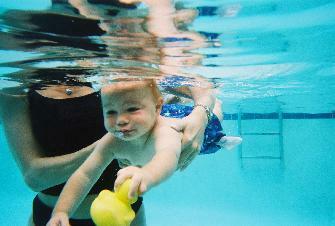 This includes inflatable and portable units that are capable of holding water greater than 30cm (300mm) in depth. The following list is to be considered when considering your pool or spa enclosure. Have a safety barrier for all swimming pools and spas with a depth greater than 30cm (300mm). Obtain a building permit for the construction of the pool and barrier. Complete the barrier within six months of building work commencing on the swimming pool or spa. Engage a registered building practitioner to carry out the work if the value of the work exceeds $5,000 (including labour and materials). Maintain the barrier and any self-closing and self-latching gates in good working order. (All gates are to have a self-closing, self-latching device – regardless of when the pool was built). Never prop open any gate providing access to the swimming pool or spa. Non-compliance with the Regulations risks lives, and pool owners could incur a fine of over $5,000. Access from dwellings is not permitted directly into the pool area via external doors. Indoor swimming pools and spas must have self-closing, self-latching doors that swing away from the pool area.